America's oldest jeweler, Shreve, Crump & Low’s story began in 1796 when young watchmaker and renowned silversmith John McFarlane opened a workshop across the street from Paul Revere’s own silversmith shop. McFarlane had an affinity for luxury and built a business procuring such items as sterling silver tea sets and other wares. With the entry of globally influential Benjamin Shreve into the company landscape, they soon delivered diamonds, jewels and other rarities from Europe and the Orient to the elite patrons of Boston. The firm changed hands, ownership and names through the ensuing years, before it consolidated, reorganized and presented itself by its current name, Shreve, Crump & Low, in 1869. 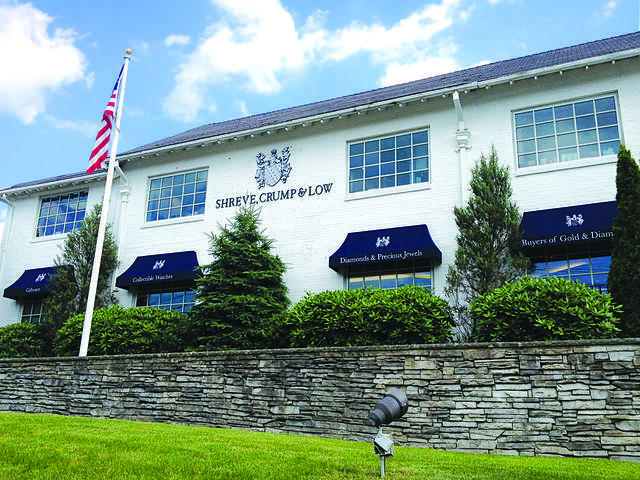 Shreve, Crump & Low was one of the first retailers in the country to offer Patek Philippe and Rolex timepieces, and the company fittingly earned a distinction of excellence and became regarded as an American business legend. Two-thousand-six proved another turning point in Shreve, Crump & Low’s history as it joined the ranks of Boston’s renowned jeweler David Walker. Walker grew up against a backdrop of the jewelry industry and was running the successful store David & Company at the time of purchase. He later transitioned his eponymous shop into Shreve, Crump & Low’s Chestnut Hill location. Recalling the allure of Shreve, Crump & Low from his childhood, Walker made a pledge to restore the company’s grandeur. A significant company change came in 2012 when Walker relocated the company’s flagship store to Boston’s most prestigious address: Newbury Street. An immense undertaking to construct, the store re-opened in May 2012. The 8,000-square-foot elegantly designed boutique draws inspiration from European salons and boasts custom showcases, sleek brand build-outs and an appointed space for relaxed browsing. David Walker’s sons, Brian and Brad, joined their father in operations and development of the family-owned-and-run Shreve, Crump & Low and became deeply engaged in all aspects of the Newbury Street store construction. Comprising three levels of perfectly lit showroom space, Shreve, Crump & Low presents diamonds and precious jewels on its first floor, a mezzanine-level Watch Salon and a third floor giftware department and bridal registry. 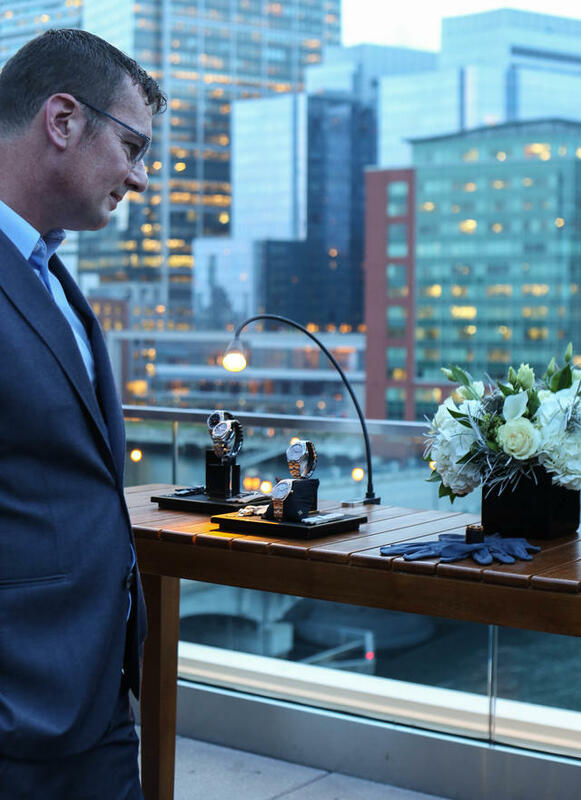 As the perfect complement to David’s expertise and professional accomplishments in the jewelry realm, he welcomed a Boston Store Director with an extensive pedigree in fine timekeeping, Christopher Hislop, to guide development of the watch category. 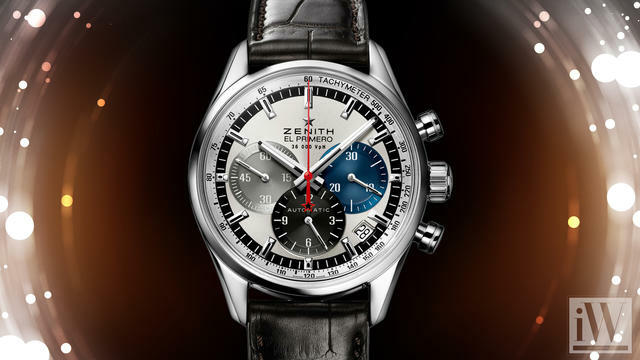 Shreve, Crump & Low has since forged relationships with some of the watch industry’s most elite and specialized brands, including A. Lange & Söhne, Audemars Piguet, Breitling, IWC, Roger Dubuis, Vacheron Constantin, Zenith, TAG Heuer, Blancpain, Chopard, Hermès and more. 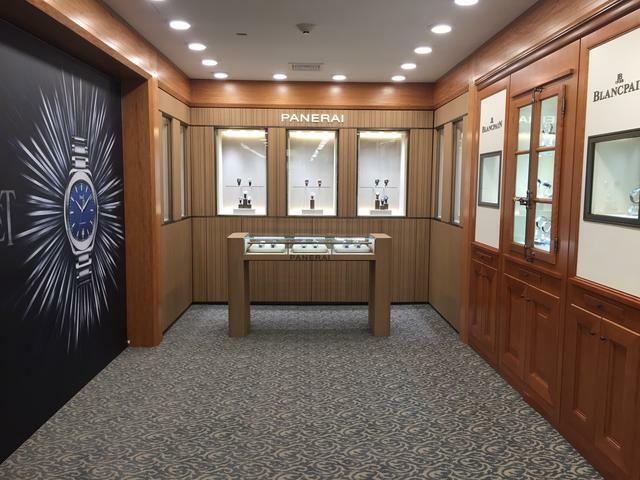 Brian shares, “It is a daily occurrence that the passionate watch sales associates on the Shreve, Crump & Low watch floor help guests to purchase, discuss and obsess about the latest and greatest the watch industry has to offer." 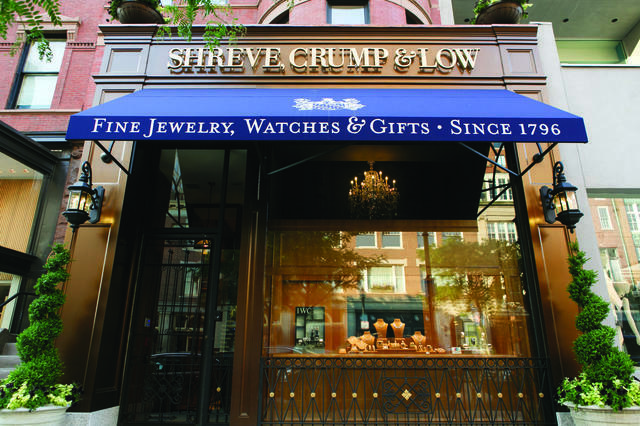 In 2014, Shreve, Crump & Low opened a store outside of Massachusetts for the first time in its lengthy history. The Greenwich, Connecticut, boutique is situated in the former Putnam Savings & Trust location, a historic limestone structure whose exterior is as elegant as its interior, which includes well-placed shop-in-shops. This store brought the number of Shreve, Crump & Low locations to three. The most significant change in 2016 was the renovation of the Boston store’s watch floor to make room for Hublot and Panerai. 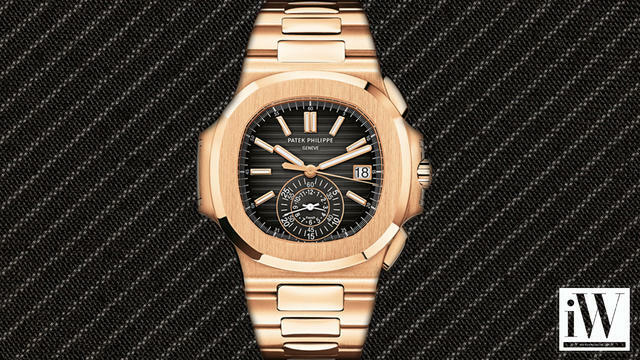 Piaget can be found in both the Greenwich and Boston stores. Shreve, Crump & Low’s dedicated associates are well versed in the history, romance and collections of each of their represented brands—including the newly acquired Hublot, H. Moser & Cie and Officine Panerai—as well as the general pulse of the watch industry. The Walkers point to service and product knowledge as the cornerstones of the business, which has truly taken the form of an extended family of loyal customers. 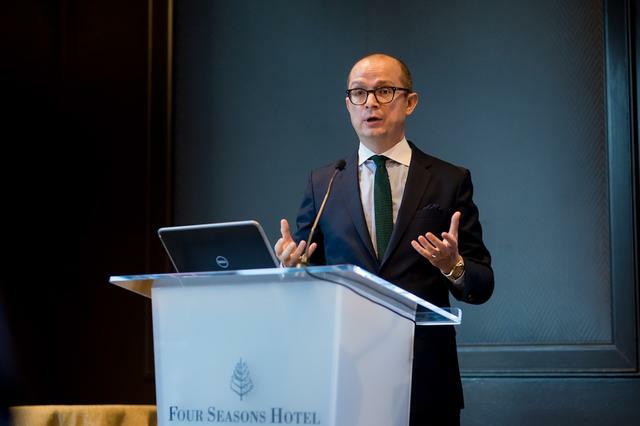 A refurbished e-commerce website and the judicious use of social media keep fans in touch with all the latest news and information forthcoming from this ever-vibrant company. Underscoring this commitment to service, Shreve, Crump & Low has an expertly trained watchmaker on-site, certified by the most revered watch brands to ensure precision and excellence when dealing with repair and restoration work. Working in a sophisticated in-store service center that is both air sealed and antimicrobial results in ideal conditions for watchmaking. Knowledgeable, passionate and fully engaged in the continued growth of its horological offerings and services, the entire Shreve, Crump & Low extended family is well poised to meet the needs of watch enthusiasts in Boston and beyond.